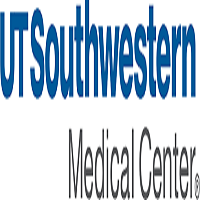 The Department of Ophthalmology at UT Southwestern Medical Center established satellite office in Fort Worth is expanding and relocating due to the development of a state of the art adult multi-specialty practice building, which will also have a supplemental teaching opportunity at our affiliated public hospital. The Department is seeking an outstanding Comprehensive Ophthalmologist for positions as Assistant Professor, Associate Professor, or Professor. Candidates should have an MD degree and be board certified or board eligible in ophthalmology, and be eligible for medical licensure in the state of Texas. Interests should be primarily comprehensive ophthalmology; however, supplemental subspecialty interests will be considered. Applications from new or established clinician scientists are encouraged.